How can you improve your Brand’s Communication Strategy? Digital communication is a great mode of communication for brand building; digital communication offers businesses the opportunity to meet the needs and expectations of customers throughout the buying cycle. In addition, no other channel offers the level of potential for customer-business interactivity than digital communication. Provide relevant and compelling content to your customers to hold their attention such as a blog or magazine. A content strategy that focuses on the needs, pain points, and triggers of the customers can help to achieve positive results. There are many ways to identify needs of the customers such as customer surveys, research and creation of customer personas based on their buying habits. Authenticity is critical to the growth of any business; it gives customers a reason to feel good about their decision to do business with you and builds brand trust and loyalty. With the advent of social media and Smartphone’s, customers can easily learn whether a product is truly effective or whether a brand’s claim is unsubstantiated. Establishing a brand identity requires something distinctive. For instance, Apple has become known worldwide for their innovative products and minimalistic, aesthetic appeal. Creating an identity within a niche space needs to have one special thing that separates it from the competition. 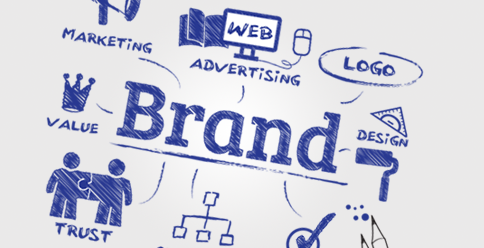 Here is an excellent article on Hubspot about brand identity. Multi-channel marketing enables a brand to attract, create, sustain, and increase their loyal customer base. By using a multi-channel marketing strategy, your brand can reach a wider audience, and can communicate your business’s key messages. Using email, mobile, and social media is a great way to promote your brand and target specific identified audiences. Social media is a great and obvious customer engagement tool, as sharing and reposts becomes an increasingly effective means of spreading the word about your brand.